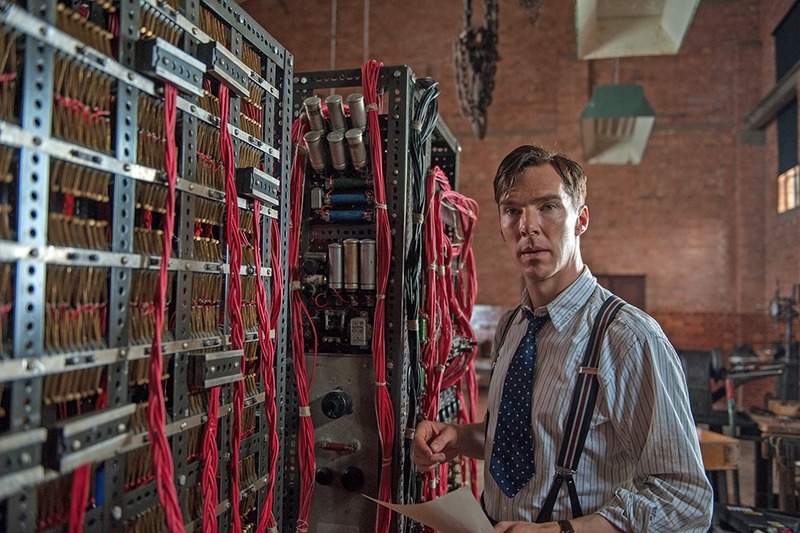 The Imitation Game is a powerful and moving drama about the mathematical genius Alan Turing, the man largely responsible for breaking the Enigma code. Turing, a homosexual, had to live a lie in order to stay at his job. 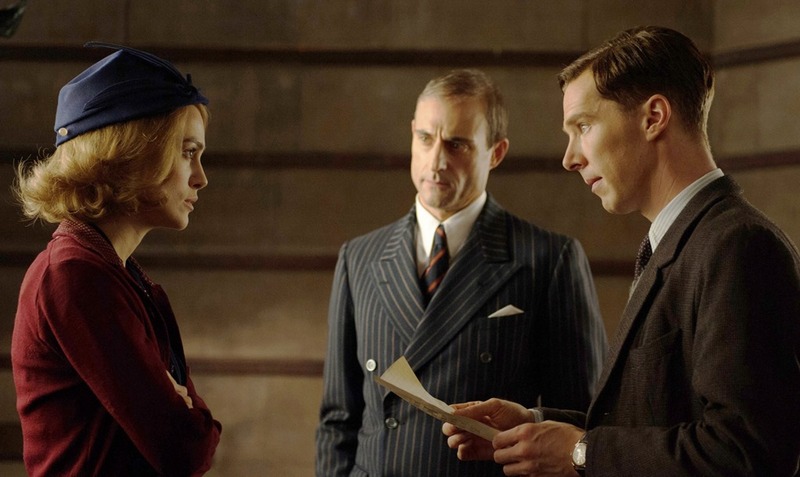 Playing out in a particularly epic and crucial time of human history (World War II), The Imitation Game indirectly puts us face to face with the enormous destructive power of prejudice. It also opens the door to some ominous insights into the archetype of the apocalypse. When the credits rolled for The Imitation Game, I was the guy in the cinema who applauded. I had been moved over those two hours by the outlandish (and almost true) story of Alan Turing, the father of computers and the man who defeated the “Enigma” machine. The movie paints a tableau with the megaconflict of World War II in the foreground and Alan’s homosexuality in the background. In this epic drama, Turing has to hide his sexual nature from a country still living in the shadow of Victorian sexuality, lest he be fired from his job. The implications of this plot stunned me: Had Turing not been willing to live a lie in these pivotal years, the actions of English moralism and homophobia might have precipitated a series of catastrophic consequences for England and the allied forces. This idea that a whole country, indeed a world, could have brought irreparable damage onto itself from one single act of prejudice has echoed within me since. Alan is a fellow at Cambridge university. A mere 27 years young at the outset of the war, he is an unusually gifted, albeit socially awkward man; the movie portrays him as several steps along the autism spectrum (which is a historic fallacy that further entrenches the crazy mathematician archetype Hollywood has become enamored with). Yet, I will not criticize this movie as an historically inaccurate testament of one man’s peculiar genius. I will take it on its own terms, as a self-contained story inspired by real world events. Back to the story. Alan is en-route to a mysterious job interview with Commander Deniston, a high-ranking officer of the Royal Navy. War has just broken out and His Majesty’s forces are taking quite a beating. Deniston doesn’t exactly fall head over heels for Alan. Without wit, social finesse and arrogant to the hilt, Alan is stripped of charisma. But against his better judgment, the commander invites the prodigal mathematician on board the team of cryptographers working out of Bletchley radio factory, tasked with a mission quite impossible: Break the Enigma, an encryption device with 159.000.000.000.000 possible combinations, in a time without computers. Alan wants the job, simply because it seems like a suitably exciting task for his brilliant mind. Yet he enters the team by way of a social harakiri; he proclaims to his new colleagues that they will only slow him down and that he hopes to work in solitude. Alan is characteristically unable to find his place among the lads. Alan is not a typical bloke. He doesn’t get the prevailing blokeish social codes and can’t make friends with his male colleagues. It’s only when Joan Clarke enters the picture that Alan finds a sense of companionship and belonging. Joan becomes an emotionally “safe harbor” for Alan, like so many women have for men of history. And Joan is an intellectual match for Alan, which is clearly very important to him. Joan is a brilliant mathematician and a strong, autonomous woman, struggling to break free from the cultural mores of her time. She becomes an important influence on Alan and helps him see the importance of building connections with his colleagues, now his inferiors by decree of mr Churchill himself (much to Deniston’s dismay). One day, Joan tells Alan she has to leave Hut 8 at Bletchley. Her parents are concerned that she is a bachelorette at 25 and wants her home, to a conventional life that we can imagine won’t feel quite as shameful to them. Joan has become very important to Alan, however. He likes her. So he decides to ask for her hand in marriage. 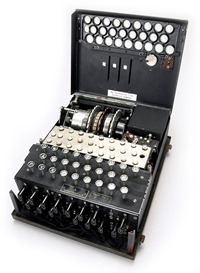 Alan’s proposal is a practical one, in service of keeping one of England’s greatest code breakers on the job. It is also an emotional proposal, reflective of his feelings of friendship and desires not to feel alone. I imagine, based on my personal experience, that Alan’s emotional grounding from his continued closeness to Joan carried importance for the overall code-breaking job. Alan doesn’t love Joan like a husband loves a wife, however. His romantic heart, alas, yearns for a soul now gone: Christopher. Christopher was Alan’s best and only friend in boarding school. Much like Joan, he was a safe harbor in a world of bullies with low tolerance for deviance and strange-looking brilliance (again the theme of straying from cultural mores rears its head). Christopher and Alan were intellectual peers; best students in class and with a shared love for cryptography. Alan falls in love with Christopher. But Christopher, unbeknownst to Alan, has bovine tuberculosis and one day, on the first day of school, doesn’t return. Alan has lost his only friend and his one true love. When Alan starts building his code-breaking machine, the one that will eventually conquer the Enigma, he names it Christopher. This is a sweet, albeit historically false, detail. 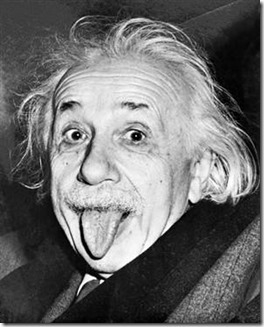 Why are mathematicans or genius scientists so often portrayed as weird or crazy? Why is Alan described as severely socially impaired even in light of historic proofs to the contrary? The answer, I believe, resides in the world of mythology and archetypes. The crazy scientist archetype that so often shows up in movies is connected to the bedrock archetype of the Magician. The Magician has a tendency to disconnect from life and human connection: alchemists hide out in dark laboratories and wizards reside in high towers. This “high tower-aspect” of the Magician energy is related to taking a bird’s eye view, of seeing patterns, observing nature and making maps of reality. This is a very important human capacity, especially in the context of building a civilization. But when we adopt a high level of abstraction in our thinking, we may – if we take it too far – start abstracting life, humanity and human relationship. A person lost in that dynamic can become super-eccentric and quirky, lost in a mental world where genius and eternal mindfuck live in wedlock (which seems to describe Turing well). At worst, however, this person can step into a worldview where life has no inherent value other than as an object of study and manipulation. Much like Saruman in Tolkien’s universe, men and women who fall prey to this “power shadow” lose their eyes for beauty and the elemental nature of reality, turning the magic of nature instead into an object for deconstruction and manipulation. This power shadow ran amok in Nazi Germany. But it’s present elsewhere too, in places less ominous than the 3rd Reich. It is a common dynamic in e.g the field of gender research (at least in Scandinavia). Many of these so-called researchers hide out in the safety of their own offices, deconstructing reality and generating mental abstractions about the nature of men and women that are completely outlandish. Stuck in their “towers”, they remain completely out of touch with the beauty of existence. And like Saruman, they often waste away in their own decaying corner of Middle Earth, bitter and convinced that the world is ugly and men and women enemies. The artists and craftspeople of Hollywood and the rest of the movie world are, I believe, expressing a conscious or intuitive understanding of the “nutty professor” when they bend history in order to make a more impactful storyline. And it works, because it’s resonant with the archetypal field we’re all more or less consciously tapped in to. This archetypal theme of losing our connection to beauty, life and nature carries personal implications as well. Most of you can probably, like I do, remember times in your life when you lost touch with the beauty of existence. You were down. Just depressed, man! In those times, some part of you desperately yearned for the elemental beauty and miracle of life. You yearned to feel your heart and a sense of love and connection. You yearned, essentially, to escape dark solitude and immerse yourself in the realm of life, love, beauty and relationship. That yearning likely carried the face of a woman. And your longing for this feminine goddess likely reached feverish proportions, because she seemed then to be your only connection to beauty and life. 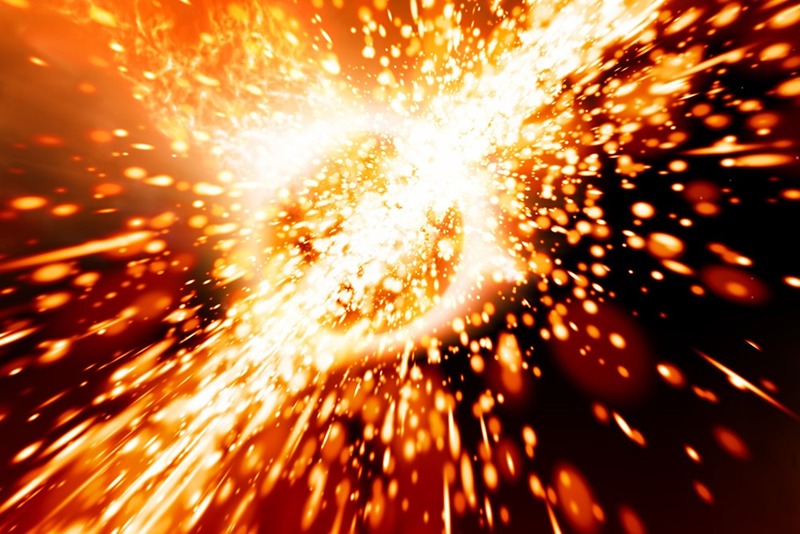 In that part of your life, you were completely out of touch with your ability to self-generate a connection with Lover energy. Life seemed ugly, dark and scary. And you likely thought this woman was your key out. Whether that scenario is a perfect or merely somewhat accurate description of your own life experience, the no-nonsense truth is that you became in these times a lost boy yearning for the safety of mommy’s life-giving bosom. This is no cause for shame; most men have experienced this at some point or another. Rest assured that I have. Ideally, we learn from the experience never to make that mistake again. An almost fail-safe protection exists against this trap: Living your life purpose. When you are on track with your life purpose, your life carries inherent meaning and you don’t need women to validate your worth. 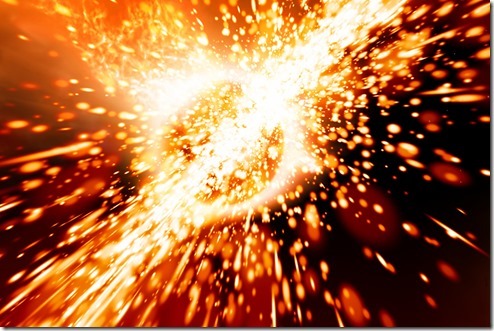 It’s a safety net – you can never fall below the energy provided by your life purpose. All of these themes play out with Alan and Christopher. Alan’s dependence on his long-deceased friend makes perfect sense: He gets to feel the taste of love in the safe container of fantasy. He gets to inject some vital eros into his life purpose (which gives his life meaning). And it helps him stay somewhat connected to Lover energies, an inner territory that he has not learned to reach on his own. Enough of that Lover stuff. Let’s go back to war. Alan’s machine works, but it cannot crunch through the Nazi codes quickly enough. The breakthrough comes when Alan realizes that there are repetitive phrases and words in the German transmissions. By programming “Christopher” (or the bombe machine) to take that into account, the number-crunching can happen much faster. And what words are always present in Nazi transmissions? “Heil Hitler”! I can’t emphasize enough how much I love this twist in the storyline. It resonates deep inside the part of me that believes there is some universal principle at play in our lives wherein our own unwillingness to abide by the truth and laws of nature lays the foundation for our own demise, as individuals, as nations, as a species. Some call this karma, and this particular expression of it is totally badass. But in a matter of minutes, a new problem rears its head: Nazi submarines are about to obliterate a convoy full of civilians en route to the UK. Hugh Alexander, Alan’s charismatic second in command, rushes for the phone, intent on saving the convoy. And any feeling person would want to do that. But Alan’s strength isn’t in the feeling realm, but in his capacity to see big picture patterns from up high. And he realizes that if they save the convoy, their secret is out and the Nazis are back in control. Their valiant rescue of 500 civilians would have catastrophic consequencs further down the line. “Sometimes you can't do what feels good, you have to do what is logical,” Alan says, effectively pulling the rug on any new age notions that basing your decisions from your rational faculties is always inferior to following your feelings and intuition. I suspect that his willingness to be personally responsible for that position is, if historically accurate, connected to his suicide several years later. Playing God tends to destroy human beings, as numinous energies tend to be hungry for people’s ego structures. That Alan’s high tower perspective is suddenly of benefit may seem confusing, given what I discussed above. This paradox points to how incredibly complex it is to develop a fully mature psyche; the journey is littered with contradictions. 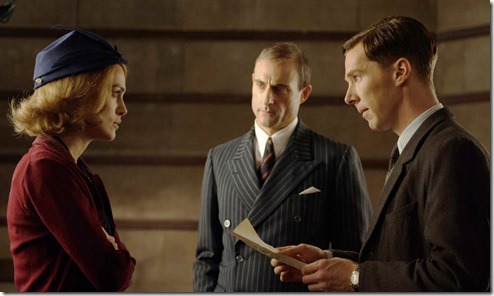 There is a piece of music that plays in the scene where Alan Turing and his team break the Enigma code. It is called “Mission” and you can listen to it below. This is the same piece of music that I play in my Reclaim your Inner Throne workshops when a man or a woman has reclaimed the seat of their Sovereignty. It is a beautiful piece of music, sufficiently regal in its first minute. Then its character changes, into a musical landscape that communicates a somewhat ominous “to be continued”. For Alan Turing himself, that continuation is the break with Joan, the breaking apart of the Bletchley team, Alan’s 1951 arrest for indecency and his subsequent suicide (the exact cause of his death remains a source of some debate). I mention this piece of music to segue into the present-day world-scene, where I believe we all live under a dark “to be continued” sky right now. We stand at the brink of financial and environmental collapse. Russia is looking increasingly like a fascist dictatorship (oh, the irony). Truth-bending propaganda and outrageous Christian fundamentalism is part of the air a huge number of Americans breathe. And in a different corner of humanity, Sweden has all the signs of impending social collapse after “promoting” every white man to the position of bogeyman and denying the existence of any problems outside of his realm (the totally predictable right-wing resurgence has already started, in Sweden and the rest of Europe). I could go on. Terrifying events are playing out on a macroscale right now. And yet ironically, statistics show that things are improving dramatically! Fewer people die at war than ever before, homicide rates are plummeting and more people are rising out of poverty every day. Funny how most people seem to think it’s the other way around! Everything is going better and at the same time everything seems to be going to hell in a handbasket. What the f*ck? We’re in the process of world-renewal. I’m absolutely convinced of this. And if you understand the archetypal realm, you know we cannot have world-renewal without a constellation of the archetype of the apocalypse. The apocalypse is widely misunderstood to be about the end of the world. It is not. It is about making that which was hidden visible, in a process of death and rebirth. At its core, the archetype of the apocalypse is about the Self’s annihiliation of the unhealthy ego. When our world no longer works and we are en route to impending doom, the apocalypse actually brings with it a perverse kind of hope. The huge leap in human consciousness that followed World War II is but one example of this at play in human history. Strangely, people of all walks of life and on all levels of consciousness seem to be tapping into this archetype now. And Hollywood has gone crazy about it! Half of the movies coming out of Tinseltown are about the end of the world! And whether you’re a muslim terrorist, an american right wing christian (oh boy do they want the apocalypse! ), a delusional Swedish feminist, a troubled environmentalist, or a spiritual activist, the archetype of the apocalypse is almost inseperable with the promise of one final war. I don’t want this war! Alas, I know too much not to expect it. The forces of the world are already constellating to give it to us. World War III. It is coming. I’m almost certain of it. The strength with which so many are hungry for world-renewal only increases my conviction. My only question is “what kind of war will it be?” This war will require Warriors, make no mistake. It may however require a whole other kind of weaponry. Indeed, I think people like you and me can make a tremendous influence on what kind of war it is. See, war is only superficially about ideology, borders and natural resources. At the core, war is about the Self’s annihiliation of the ego, and the ego’s unwillingness to surrender (that is what starts every war). If enough people step into the right kind of ego-Self alchemy and understand the dynamics involved in the apocalyptic fantasies, World War III will, I believe, never turn into an armed conflict. Rather, it is more likely to become like a ritual process where millions of initiated people are able to internalize the archetype of the apocalypse by surrendering the ego to the Self (thus preventing the rebelling and terrified ego from projecting chaos into manifest reality), while simultaneously holding a proactive, fierce, uncompromising and deeply compassionate ritual space for the death throes of a dying paradigm, and the souls lost in it. 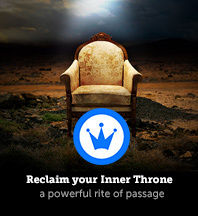 I will write a full article on the archetype of the apocalypse in the not too distant future, and I will continue to offer the means with which you can become an agent of this powerful, loving world-renewal through my Inner Throne work (as a man, you’re unlikely to find a more powerful initiatory experience online). 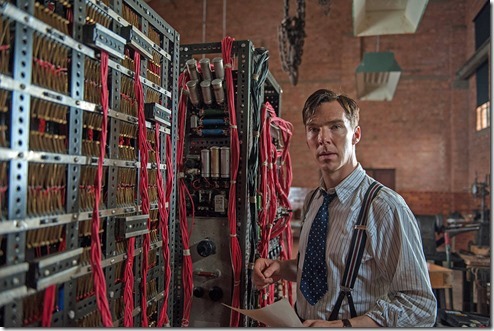 The Imitation Game is a beautifully directed, acted and scored movie with a powerful message. It points to the importance of the stage of consciousness known in spiral dynamics as the green meme; which emphasises treating men and women of all sexual, religious, and ethnic backgrounds equally. It will accordingly likely be embraced by many feminists and LGBT-activists, which I think is a good thing. The movie also shows the blessings and the curse of the unbalanced Magician archetype and the importance of the Lover’s connectedness. More than anything, however, The Imitation Game reminds us of the terrifying implications of human ignorance and prejudice. I think it bears repeating: Had Turing not hidden his homosexuality, the extreme worst-case scenario (exaggerated to drive a point home) is that we’d all be inhabitants of the 3rd Reich right now. His living a lie, the movie’s epilogue tells us, saved fourteen million lives. In a different storyline, a homophobic man could’ve put Alan out of his job, bragging about how he served his country by getting that queer Turing fellow out of Bletchley. He would do so ignorant of the fact that he is about to step into a life-experience colored by the fact that his soul somehow knows that he has fourteen million lives on his conscience. Such are the mysterious ways of an interconnected universe. In other words, if you value your life, your nation and the human species as a whole, you’d better do your homework, claim your sovereignty and be damned sure to stay away from acting on your prejudice. For with the archetype of the apocalypse so powerfully constellated in our contemporary world, we don’t want to be put the next Alan Turing out of a job.